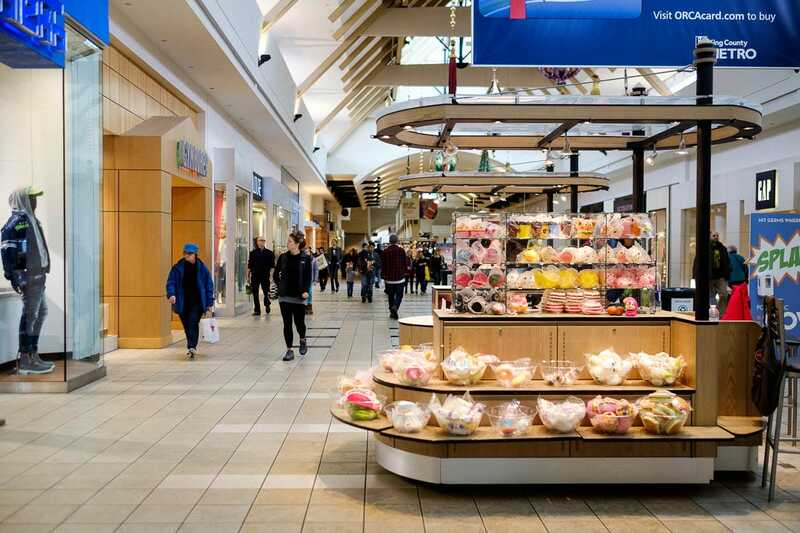 As many as 25% of malls may close in the next five years, according to a recent report. 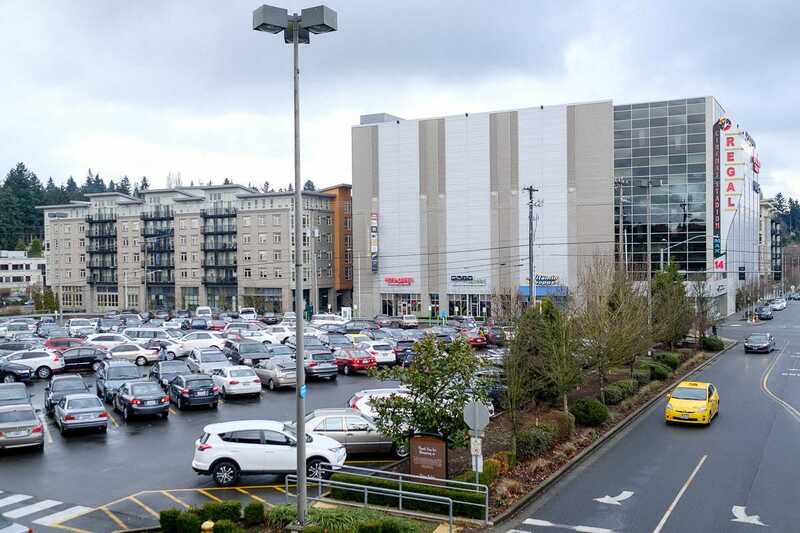 We visited Seattle’s Northgate Mall, which originally opened in 1950, and is now trying to reinvent itself as a new downtown for Seattleites fleeing skyrocketing rents. 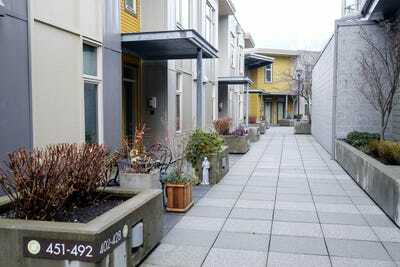 Though intended to form an affordable neighbourhood, the area lacks the public spaces, density, and pedestrian walkways that would make it attractive to urban millennials. 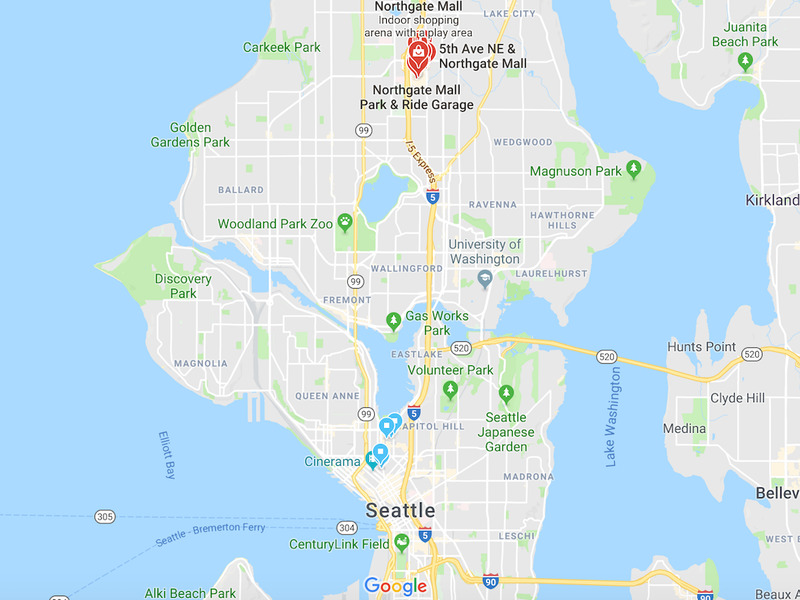 Opened in 1950, Northgate Mall has survived for nearly 70 years as a hub of commerce for the outer neighbourhoods of Seattle, Washington. 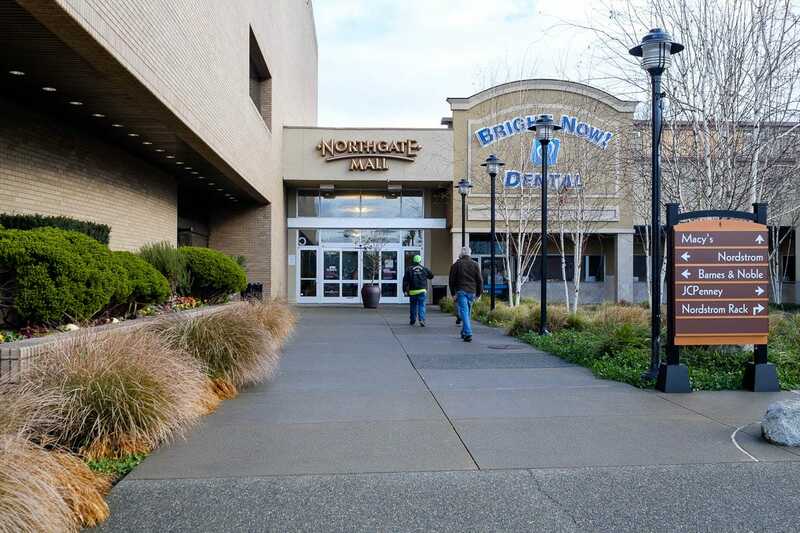 But, like all malls today, Northgate faces tremendous headwinds as American consumers shift their spending patterns. Real-estate research firm Cushman & Wakefield estimated that visits to malls have declined by as much as 50% in recent years. 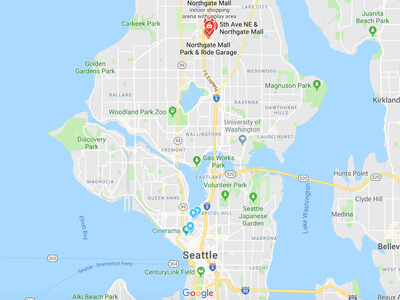 In a recent report, analysts from Credit Suisse predicted that 20% to 25% of malls – about 220 to 275 shopping centres – would shutter over the next five years, largely because of store closures. Simon Property Group, Northgate’s owner, and the city of Seattle have responded to recent trends by attempting to reinvent the mall as the center of a new downtown. Northgate Mall is located in northwest Seattle just off Interstate 5, the highway that forms the backbone of the city. 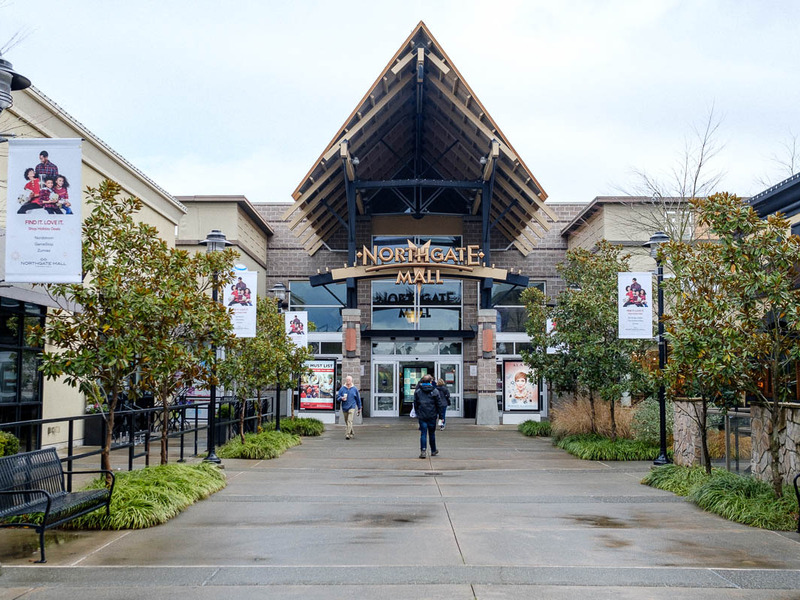 The earliest designers of malls like Northgate saw them as the suburban replacement for a vibrant downtown. 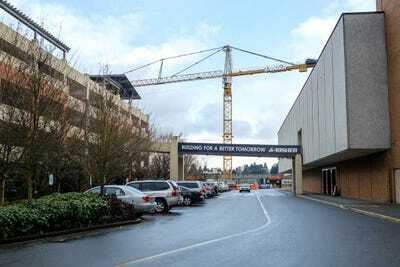 Ironically, 70 years later, the “retail apocalypse” and larger urban trends may make that dream a reality in Northgate. 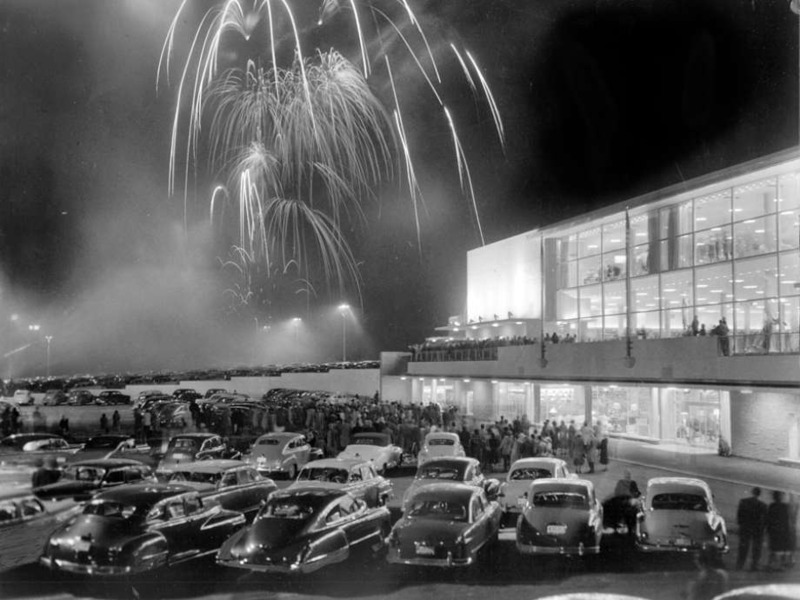 Minnesota Historical SocietySouthdale Center in Edina, Minnesota was designed by architect Victor Gruen to mimic Vienna’s outdoor squares. 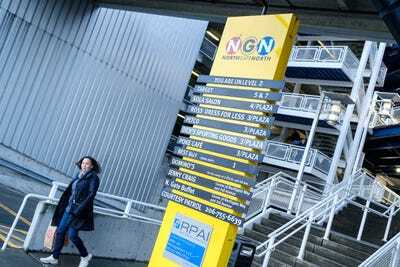 The city is hoping to turn suburban Northgate into a thriving urban neighbourhood. 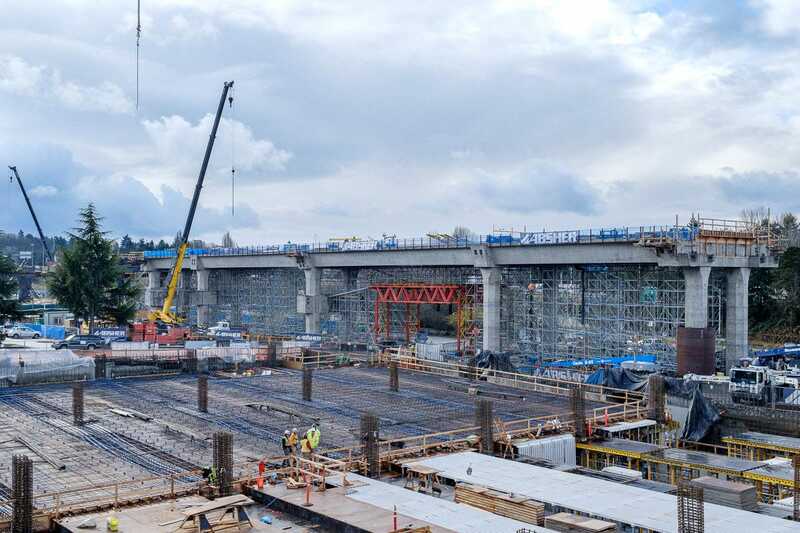 Currently only reachable by car and bus, Seattle is in the midst of a a $US1.9 billion transit project that will connect Northgate to downtown via light rail by 2021. 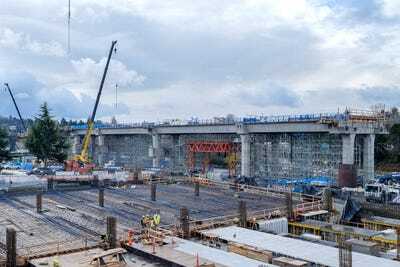 And the city of Seattle and King County announced last year they would contribute $US20 million to build a mixed-use development next to the light rail station. 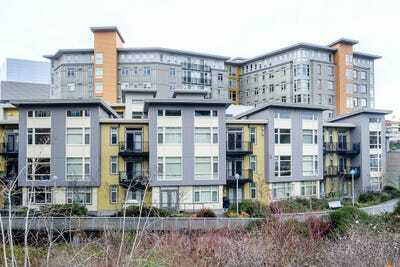 It is expected to have at least 200 affordable housing units and several hundred market-rate units. The city has a lot at stake. 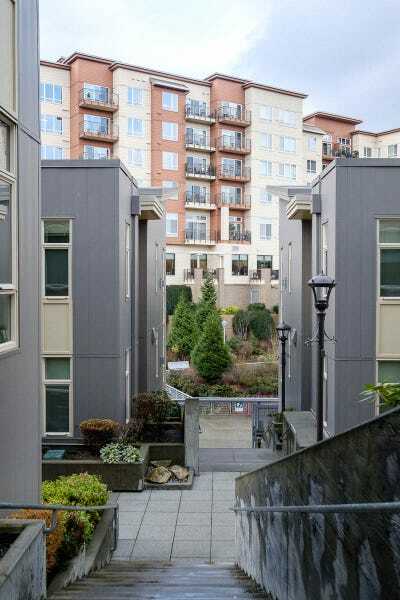 Seattle has become the US’s hottest real estate market, leading the country in home price increases over the last year. 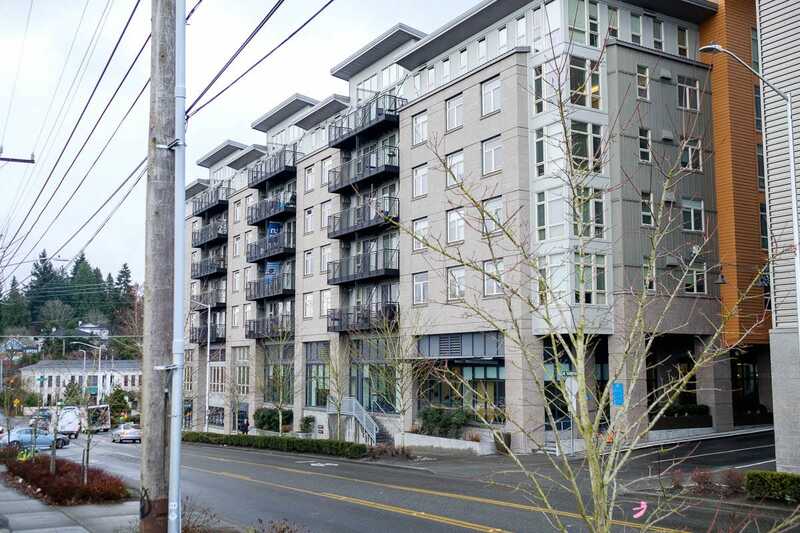 Affordable housing and congested traffic downtown are lightning rod issues in the city. The mall has a lot at stake too. 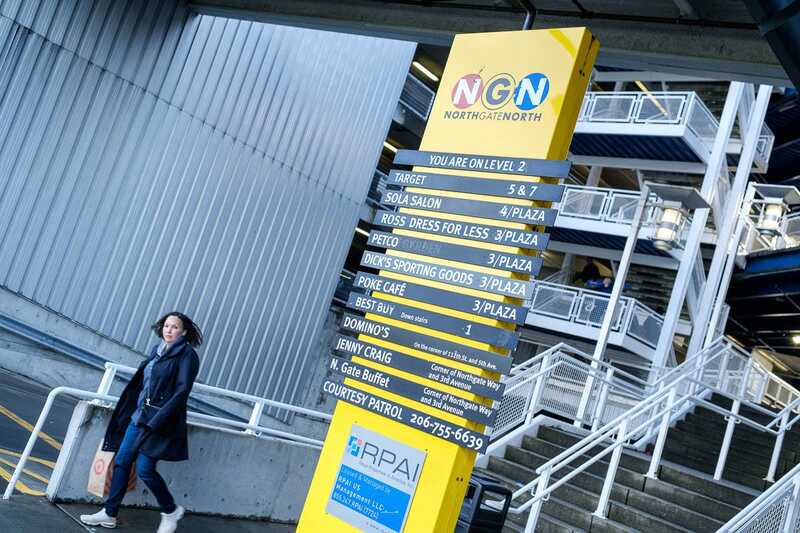 As online retail takes over, having the mall at the center of a thriving neighbourhood would be invaluable to generating consistent foot traffic. But walking around the mall and its surrounding area, I found myself sceptical that the city’s hopes would be realised. The area felt like the mall itself — a remodeled outside, but with an interior still stuck in the past. 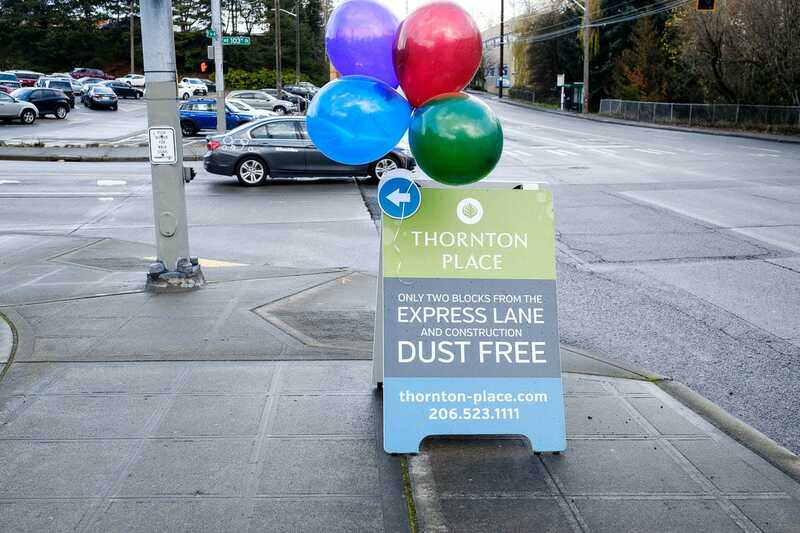 The first phase in mixed-use development began at Thorton Place, which combines more than 500 apartments with a Regal Cinema, a medical clinic, and more than 30,000 square feet of retail space. 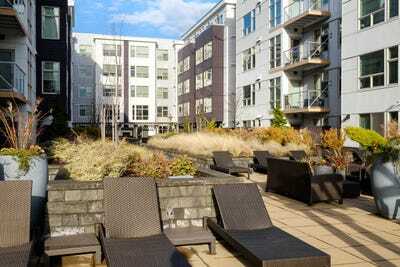 Completed in 2009, Thorton Place has a mix of apartments, townhouses, and senior housing, 56 of which are affordable units. 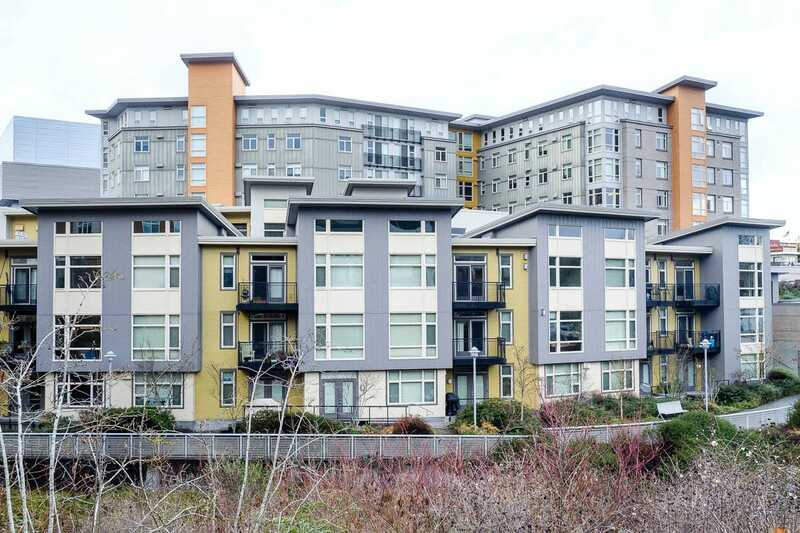 Developers are hoping that Seattleites priced out of popular neighbourhoods near downtown will see Northgate as a refuge. But Thorton Place doesn’t feel lived in. It was a nice day when I visited, and I saw little foot traffic. 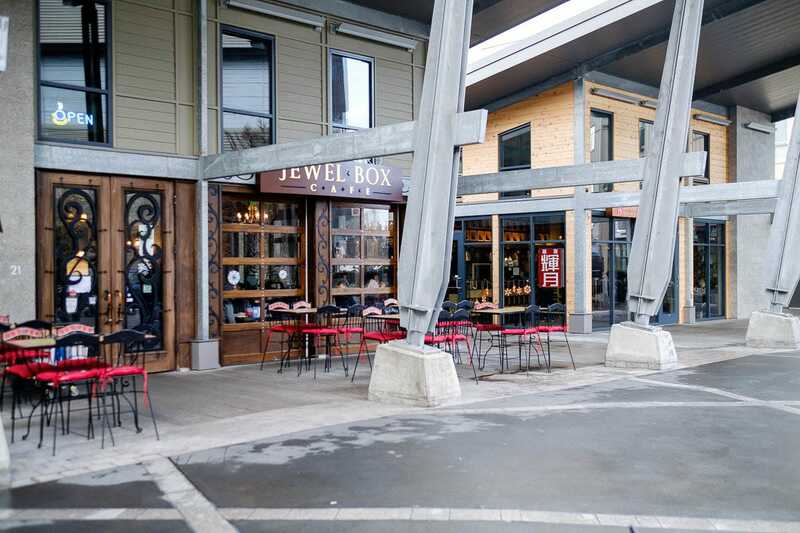 Convincing urban millennials to ditch pricey downtown areas for Northgate may be difficult. 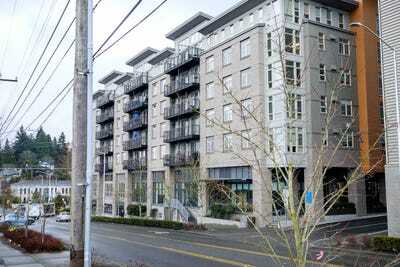 Thorton Place mimics the city block with a ramen shop and a cafe situated next to the apartments. But it lacks the density and people that makes a city feel cohesive. This fire pit provides a public gathering space, but it seemed somewhat out of place next to parking spaces. 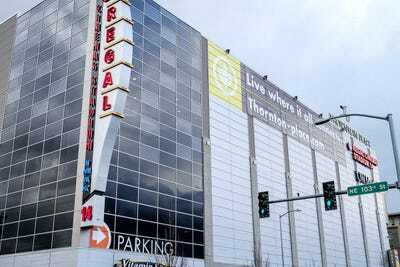 The major office and retail building at Thorton Place, which housed the Regal Cinema, was an unattractive block that didn’t look much different from its mall predecessors. Stephanie Cegielski, spokeswoman with the International Council of Shopping Centres, told the Seattle Times last year that a mall’s success is heavily dependent on being responsive to a “community’s wants and needs.” In a city that is increasingly desperate for housing, the redevelopment’s focus on apartments seems correct. 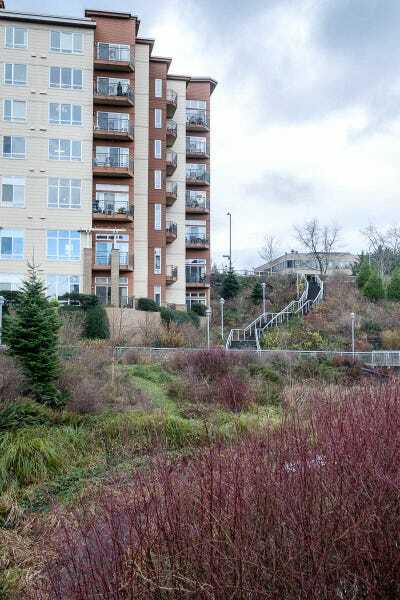 One public benefit of the development was getting rid of a parking lot that was covering Thorton Creek. The resulting Thorton Creek Water Quality Channel is intended to rehabilitate the area’s nature and limit the impact of pollution. But the majority of the development is concrete and buildings. This walkway adjoining the creek was attractive, but the area felt starved for more public spaces that aren’t retail. Just blocks away from Northgate is The Enclave, a luxury apartment complex that is marketing itself to the city’s young professionals and burgeoning tech workforce with an array of amenities. 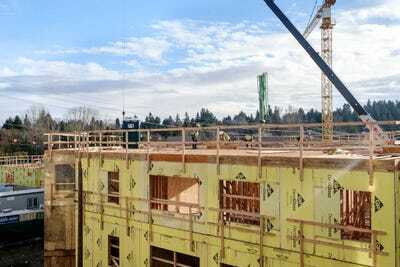 Across the street from The Enclave is another development under construction. 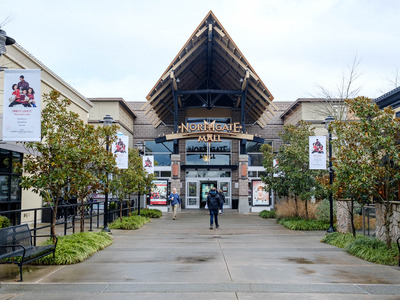 Adjacent to the Northgate Mall is the Northgate North shopping center. 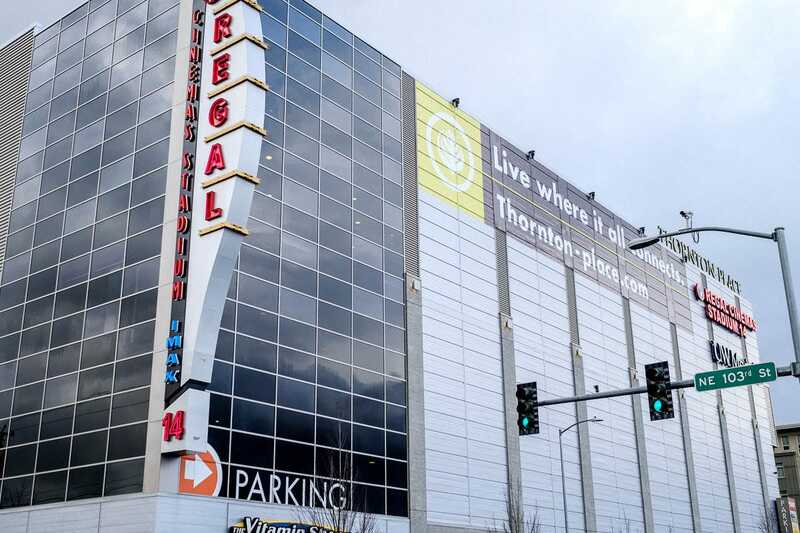 Completed in 2005, it combines a parking garage with a Target, Best Buy and other stores. 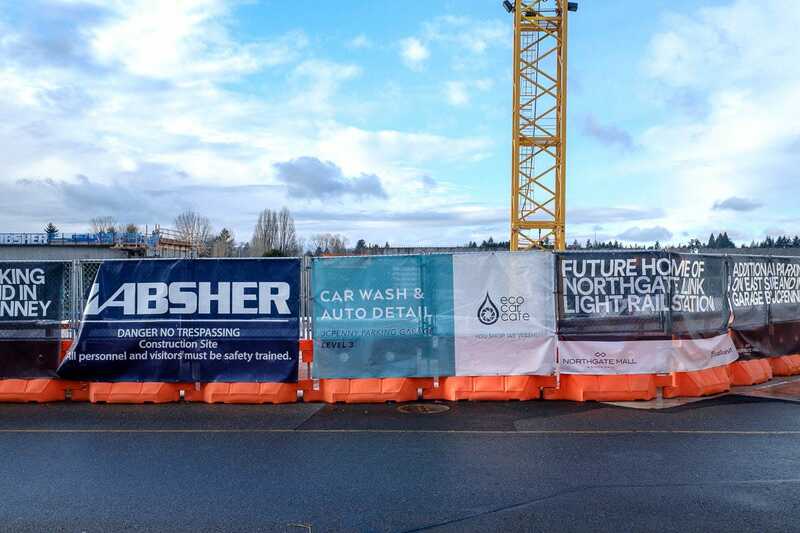 Considering the push in Northgate towards mixed-use, walkable developments, Northgate North confused me. 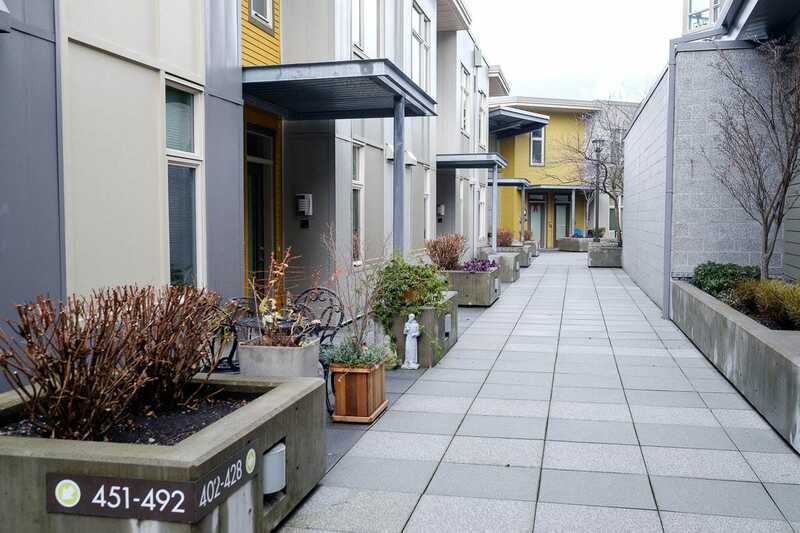 It is car-centric and ugly. 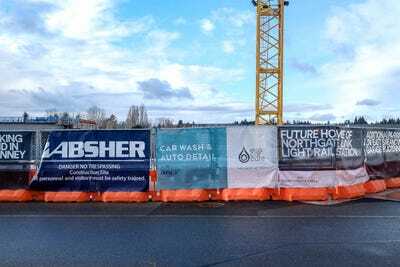 Northgate feels inexplicably stuck between its car-driven past and the urban future it wants to create. 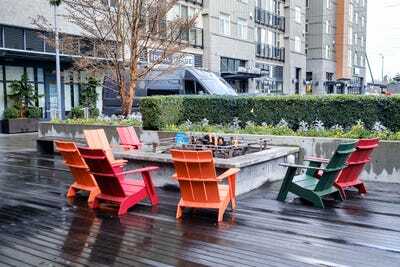 Many of the newer developments are fashioned around cars that it feels hard to imagine it transforming into the walkable downtown envisioned. 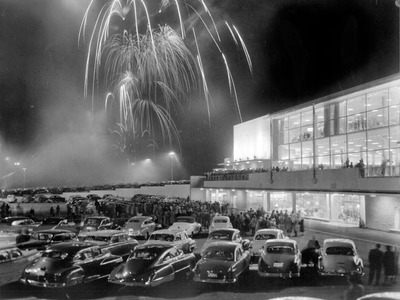 seattlepi.comFireworks for the opening weekend of the Bon Marche at Northgate Mall, April 30, 1950. 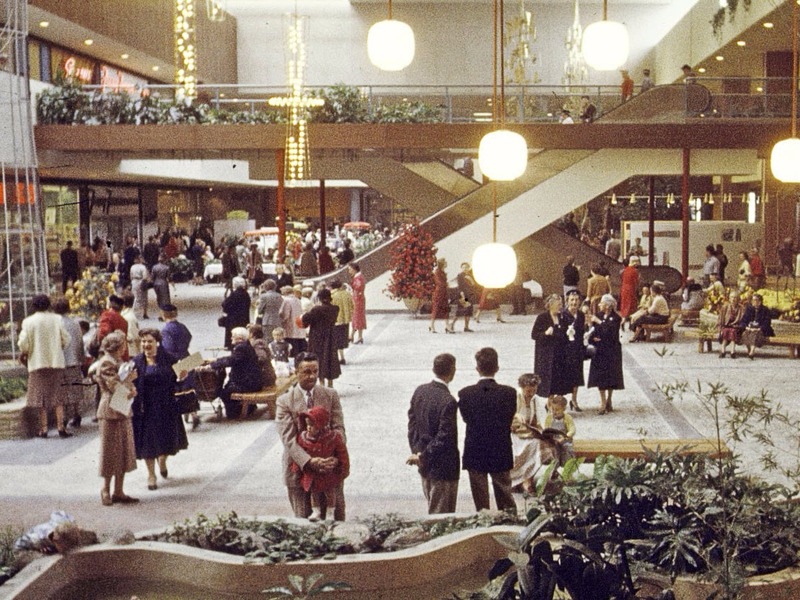 Macy’s is now where the Bon Marche was. To be fair, development isn’t done. But it feels like the developers are making the same mistake as early mall designers. 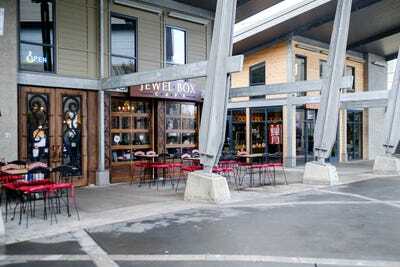 Too many stores, and not enough of what makes a neighbourhood: public spaces, community centres, and pedestrian walkways that connect everything. The city and developers are working to improve the walkability of the area with more bicycle and pedestrian pathways, the Seattle Daily Journal of Commerce reported in November. But I had a hard time seeing how they could improve the area for pedestrians. 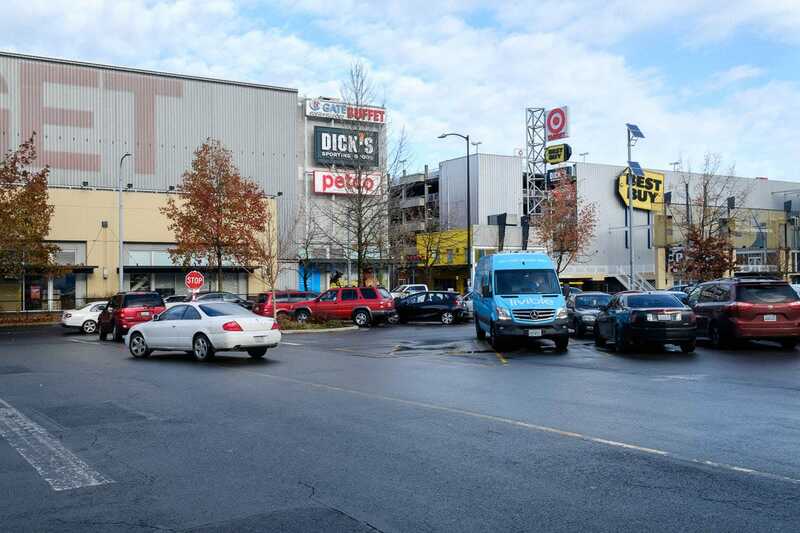 The area is already heavily developed with shopping centres, parking garages and lots, and busy, congested streets.